I've seen many views of this iconic mountain and really wanted to find a different view that hadn't been photographed before. It took a little searching but I'm happy with the results. 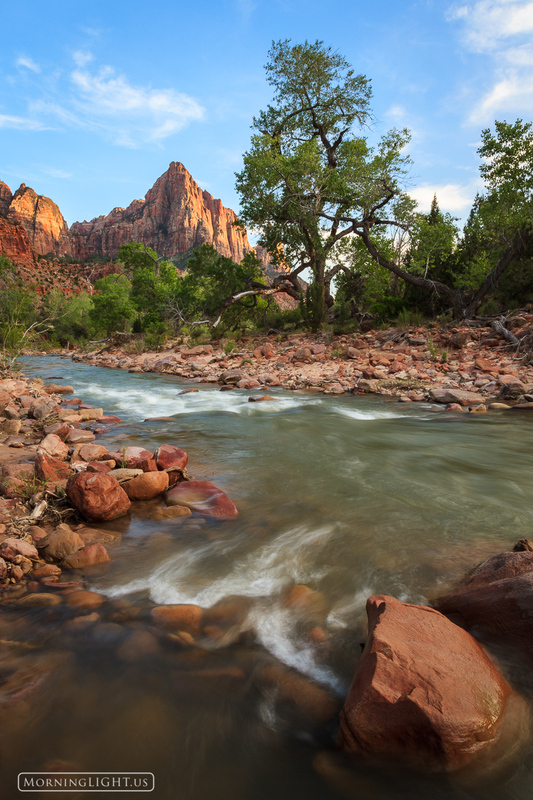 This is the Watchman in Zion National Park with the Virgin River bubbling below it on a beautiful spring evening. Photo © copyright by Erik Stensland.